Details on how to win tickets to SANTA CRUZ DAYZ are only on our MySpace page. Click on the Blogs for the contests on the right side of the page. 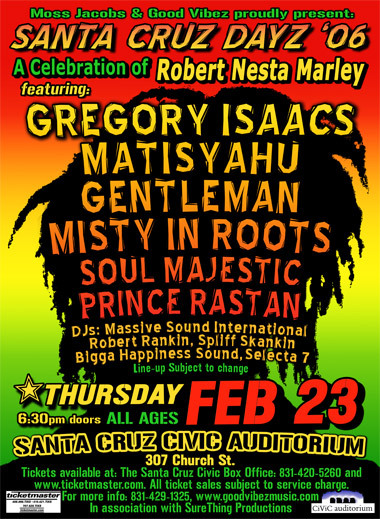 Matisyahu, Gentleman, Gregory Isaacs, Misty in Roots, Soul Majestic & Prince Rastan!